The regime change, the South Slavic civil war, global recession and their political, economic and social consequences had a significant impact on the tourism market of South-east Europe and the Balkan region. Many potential visitors to the region were affected by their negative associations with past events, even those that happened many years ago. The image of the Balkan region has become at times almost synonymous with conflict, turmoil and unrest. However, these perceptions may be changing and are therefore worthy of exploration. The article provides a tourism oriented analysis of the area’s image as a tourism destination. In accordance with the literature, the perceptions are measured by using a customer-based approach. Internet-based social media encourages the sharing of recent tourism experiences which can confirm or change associations with destinations. This study provides a content analysis of comments from one of the most popular travel portals (TripAdvisor) including key elements of the Balkan region’s image. The results of the research show theoretical implications like the importance of emotional image elements, the role of locals, or the complexity of tourism experience. From a practical point of view, the conclusions can induce long term thinking about the selected destination’s branding, and motivation for further research, as well. Ábrahám, B. 2007. A Balkán képe a 19–20. 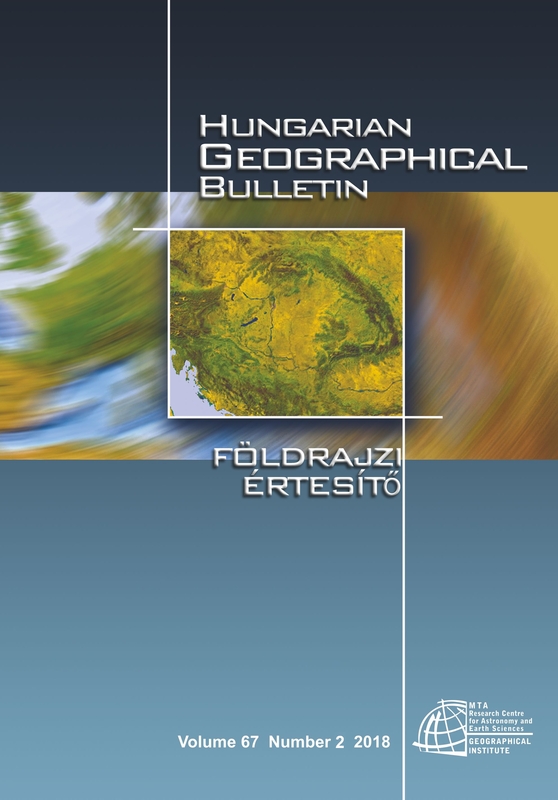 századi magyar geopolitikai és tudományos gondolkodásban (The image of the Balkans in the Hungarian geopolitical and scientific thinking of the 19th – 20th century). Regio 18. (2): 47–78. Akova, S. and Demirkiran, C. 2013. Regarding the Culture of Multi-Ethnicity and Cohabitation in the Western Balkans. Human 3. (2): 6–16. Anastasakis, O. 2000. A balkáni régió európai integrációja (European integration of the Balkan region). Pro Minoritate, Autumn-Winter, 44–54. Arday, L. 2002. After Yugoslavia: Problems and perspectives in the Balkans. Foreign Policy Review 1. 162–192. Bideleux, R. and Jeffries, I. 2007. A History of Eastern Europe. Crisis and Change. London, Routledge. Bracewell, W. and Drace-Francis, A. eds. 2009. Balkan Departures: Travel Writing from Southeastern Europe. Oxford, Berghahn Books. Carter, F.W. and Norris, H.T. eds. 1996. The Changing Shape of the Balkans. Boulder, Westview Press. Császár, M.Zs. and Pap, N. 2011. A Balkán képzelete (Image of the Balkans). Valóság 54. (5): 40–54. Erdősi, F. 2007. Kelet-Európa országainak légi közlekedése (Air transport in Eastern European countries). Pécs, Centre for Regional Studies, MTA. ETC–UNWTO 2009. Handbook on Tourism Destination Branding. Madrid, ETC–UNWTO. Garde, P. 2007. A Balkán (The Balkans). Budapest, Háttér (Hungarian edition). Govers, R. and Go, F. 2009. Place Branding – Glocal, Virtual and Physical Identities, Constructed, Imagined and Experienced. New York, Palgrave Macmillan. Hajdú, Z. 2003. Az intézményes Balkán-kutatás kialakulásának és fejlődésének problémái Magyarországon 1948-ig, különös tekintettel a földrajzi kutatásokra (Issues of the formation and development of institutional Balkan studies before 1948, with particular focus on geographic studies). Pécs, Department of Nature Sciences, Geographical Institute, Centre for Eastern Mediterranean and Balkan Studies, University of Pécs. Hajdú, Z. 2007. A Balkán-félszigettől a Balkánig (From the Balkan Peninsula to the Balkans) Mediterrán és Balkán Fórum 1. (1): 10–14. Kaplan, R. 1994. Balkan ghosts: A journey through history. New York, Picador. Kocsis, K. ed. 2007. South Eastern Europe in Maps. Budapest, Geographical Research Institute, MTA. Kőszegi, M. 2010. A magyarországi Balkán-kutatás kezdetei: korai interpretációk "a mi Keletünkről" (Beginnings of Hungarian Balkan studies: early interpretations of "our East"). X. National Convention of Geography Graduates. Szeged, University of Szeged. CD-ROM. Kozma, G. 1995. A debreceni önkormányzat első lépései a városmarketing területén (The first steps of the Debrecen local government in city marketing). Comitatus 5. (5): 15–21. Kozma, G. and Ashworth, G. 1993. Projected urban images: A comparison of Groningen and Debrecen. Groningen Studies 55. 1–32. Laitamäki, J.M. and Hämäläinen, T.J. 2008. Drivers of Globalization in the Tourism Industry: Global Strategies for Country Destination Brands. Conference paper. Competition in Tourism: Business and Destination Perspectives Conference, TTRA Europe Chapter, Helsinki, Finland, 23–25 April, 2008. Nagy, M. 2012. Balkán-kép vagy a Balkán képei? A Balkán-félsziget a magyar katonai utazási irodalomban (Balkans image or images of the Balkans? The Balkan Peninsula in Hungarian military travel literature). Közép-Európai Közlemények 5. (1): 15–27. Newman, B. 1945. Balkan background. New York, Macmillan. O'Brennan, J. 2014. "On the Slow Train to Nowhere?" The European Union, "Enlargement Fatigue" and the Western Balkans. European Foreign Affairs Review 19. (2): 221–242. Pap, N. 2013. Hungary, the Balkans and the Mediterranean. Pécs, Publikon Kiadó. Papp-Váry, A. 2013. A márkanév ereje. Szempontok a sikeres brandépítéshez (Power of a brand name. Considerations for a successful branding). Budapest–Pécs, Dialóg Campus Kiadó. Rátz, T. 2006. Kulturális turizmus és városfejlesztés: Európa Kulturális Fővárosa" (Cultural tourism and urban development: European Cultural Capital). Turizmus Bulletin 10. (2): 9–15. Redepenning, M. 2002. Was und wie ist der Balkan? Geographische Rundschau 54. (7): 10–15. Seben, G. 2007. A Balkán nyomában: a Balkán szociális reprezentációja Magyarországon, pécsi egyetemi hallgatók körében végzett vizsgálat alapján (Following the Balkans: social representation of the Balkans in Hungary, based on a study among students of the University of Pécs). Mediterrán és Balkán Fórum 1. (2): 16–19. Székely, A. 1970. Az ezerarcú Balkán-félsziget (A thousand faces of the Balkan Peninsula). In Európa 1. Eds. : Marosi, S. and Sárfalvi, B., Budapest, Gondolat Kiadó, 248–278. WTO 2002. Shining in the Media Spotlight – A Communication Manual for Tourism Professionals. Madrid, World Tourism Organization.